Hey everyone! I'm excited to announce the release of Forged in Ice (The Forged Chronicles #2)! I hope you all enjoy the next chapter of James and Ainsley's story. James' worst nightmare has come true. From the grave his father has poisoned the woman he loves, and James will do anything to save her. Ainsley is stuck in a world she barely knows. She struggles to come to terms with the new life she never asked for and her intense connection with James. When darkness threatens to destroy everything, they must face their greatest fears and the possibility their love is no match for the darkness. Haven't started the Forged Chronicles yet? 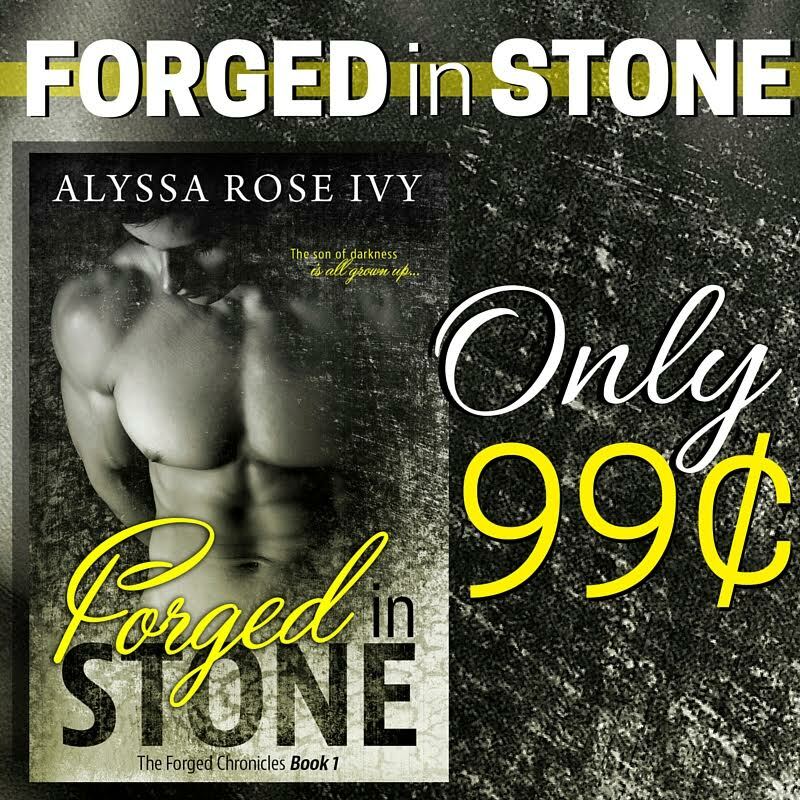 Forged in Stone is on sale for 99¢ for a limited time! Posted on January 25, 2016 by Alyssa Rose Ivy.